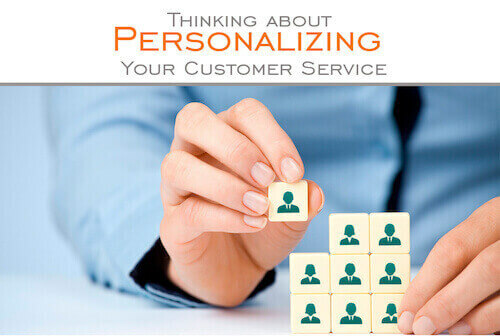 Thinking about Personalizing your Customer Service? Providing a quality customer service is what every business aspires for, and what every business works hard to achieve. But, does your business provides the personal touch rather than just the regular mechanical service. Customers today, want more from a business rather than just a fast and satisfied delivery. They anticipate a more personal touch and once given, they try to hold to that familiar environment of business. A personalized experience can start by greeting a customer with his name and, this kind of service when continued in the long run develops a healthy professional relationship that makes them a loyal customer and imparts you more business in return. How do you personalize your customer service? Is this what you are thinking now? Personalizing customer service is no big task. Keeping in mind about the customer’s comfort, you may implement the few ideas given below and put them into effect. Avoid Roadblocks in communication: Interrupts in a communication process causes irritation among customers. They feel as if they are thrashed around from agent to agent. So, keeping a smooth communication over the entire conversation, will develop a feeling of importance in them. They will eventually come to know that your entire concentration is centralized on them. Even a basic CRM lets you save customer details & avoids agents asking basic questions thereby making customers feel comfortable. Communicate personally: Talking with a live agent is always preferred over a machine voice. Customers believe that listening to a mechanic voice will not solve their queries and might take drastic measures by switching your service with another. Your agents are the voice of your company. Hiring agents who could understand people’s perception and act accordingly would prove beneficial in business’ growth. Providing customer-focussed service: Having some predefined notions about the customer like his preferences, dislikes, history or any recent activity would help in connecting with the customers on a more personal level and will never let them go out of touch from your business. Spark TG’s contact center solution lets you achieve a superior customer service by giving you a basic customisable CRM with its real-time telephony solution.